California Almond Pollination Services, Inc. offers a unique management service for those that wish to winter their hives in California and lease them to growers for Almond Pollination. We handle every aspect of managing your hives for a 6-month period between October and March while helping you receive almond pollination revenue and building strong healthy hives. Space is limited and we will fill our bee yards early. If you are unable, or do not want to winter your bees with us, we can still broker your hives for the up coming almond pollination season. Bees are leased through a lease agreement. We advance all wintering costs including feed, medication, bee yard rent, and labor. 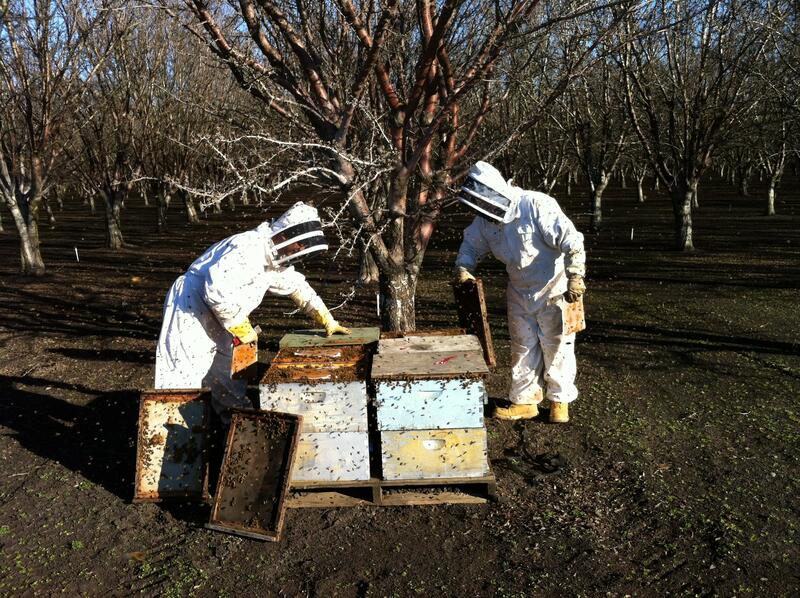 These expenses will be deducted from the almond pollination fees when your hives are rented in February. Owners are responsible for freight costs to and from their location to our bee yard or the Grower’s orchard. Owners can insure their hives against loss or damage up to a maximum of $150.00 per hive at a cost of $18.75 per hive. Hives must be on migratory pallets, double deeps (western deeps ok), migratory lids, straps, inside frame feeders, entrance reducers, mouse guards. Pallet size should be approximately 36” X 46” (4 Ways); 46 X 46 (6 Ways). Hives and pallets must be clean and free of all debris and broken parts. Hives must have a minimum of 8 frames of live bees/brood and a minimum of 30 pounds of stored feed when received. There will be a $10.00 fee for each hive that is delivered that does not meet the minimum standards and is not rentable. Unload hives in our bee yards. Take inventory of equipment received. *Some hives will be selected to participate in a formal study conducted by Bee Informed Partnership. Tests will be conducted to test for Varroa Mites, Tracheal Mites, Nosema, Foulbrood, including testing for over 6 viruses, test for pesticide build up in collected flower pollen, and pesticide build up in wax comb. Around mid November a final inspection will be made to record the pre winter condition of each hive. Check on hives weekly and after major storms. Last week of December, begin feeding 1 pound of pollen patty. Do final grading before going to orchard. Prepare hives for transportation to almonds. 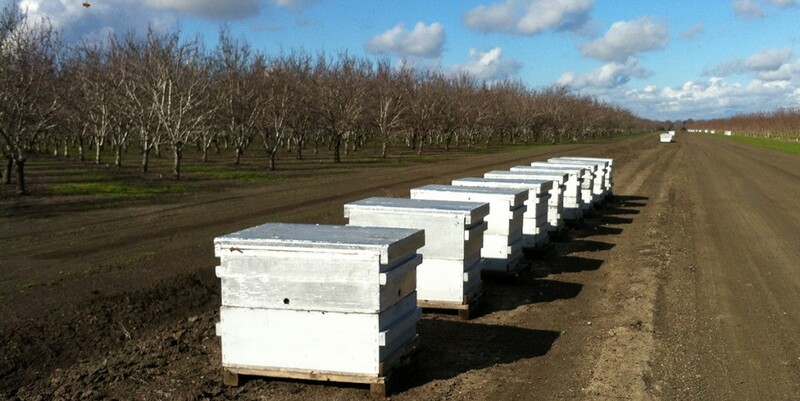 Hives will be transported to the almond orchards. Beginning the last week of March through the first week of April hives will be returned to the owners.